UPDATE: Gerber nope, no more. But you can get from Peerless, see THIS STORY. Get ready for some big bathroom news: We have just confirmed that, indeed, plumbing fixture manufacturer Gerber still produces one model of pink toilet and sink. The toilet is low-flow. Pam wrote about this company a while back in her story Gerber toilets and sinks in vintage colors — but at that time, we were told (or misunderstood) that the Bahama Pink color had been discontinued and would only be available until the remaining stock had been sold. But, following up on a recent tip from reader Amber, who was avidly looking for a low-flow pink toilet, we have been communicating with Gerber and, again, we confirm: You can still get one style of toilet and one bathroom sink in Bahama Pink — along with nine other retro vintage colors — all still being manufactured and marketed for sale today. I called Gerber and they do make a pink toilet! It is Bahama Pink (not Sea Shell as in the image in this post). I asked if they could send me a sample and she gave me the number of the local rep, who I will be calling today after I get off work! As I told my husband… I am hot on the trail of a pink toilet! Amber, Pam says that if you email her, she will mail you one of her Save The Pink Bathroom collages — a reward for your pink potty private-eye-ing. 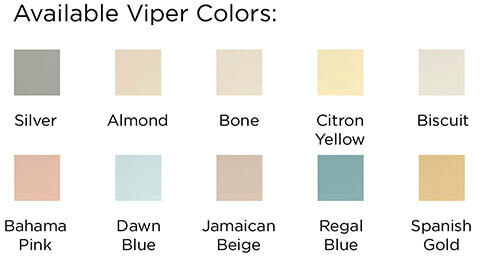 I contacted Gerber Public Relations contact Linda Bendt, who supplied photos of the Bahama Pink fixtures and confirmed that the Viper toilet is offered in this color. For some reason, the website only shows that it is available in white, but Linda assured me that this Viper toilet model can be ordered in Bahama Pink. 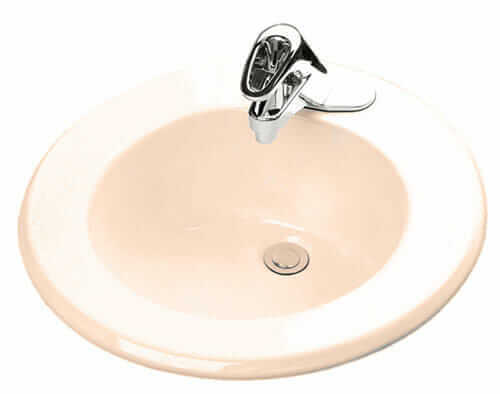 Linda also told me that Gerber offers a matching pink lav sink — the Rotunda style, model number 12-894-21 — shown as available in several colors on the website. After doing a little more poking around the internet I found this brochure for the Gerber Viper toilet line including available color swatches. The swatches above are taken from that brochure, which was released in 2009 — and seems to be nearly the same collection of colors. 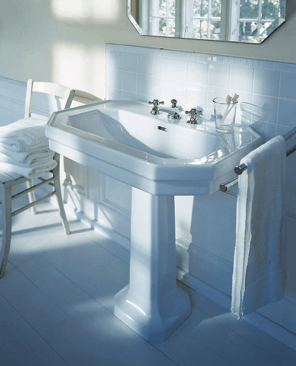 Not only would the Bahama Pink work in a vintage bathroom, but it looks like the Silver, Citron Yellow, and Dawn Blue *could* be terrific color matches for vintage grey, yellow or blue pastel bathroom fixtures. Or — put them in a gut remodel with either matching or contrasting pastel tiles from B&W Tile. The most frustrating aspect of this discovery is the lack of readily available color samples. Linda said they couldn’t send me a sample of the Bahama Pink and I found only one dealer in my area that carries Gerber products. I called to inquire if they had a sample of the Bahama Pink in their showroom but they did not. The person I spoke with said they would try to get a sample of the pink from their Gerber dealer for me to see in person and compare to my B&W pink tile. 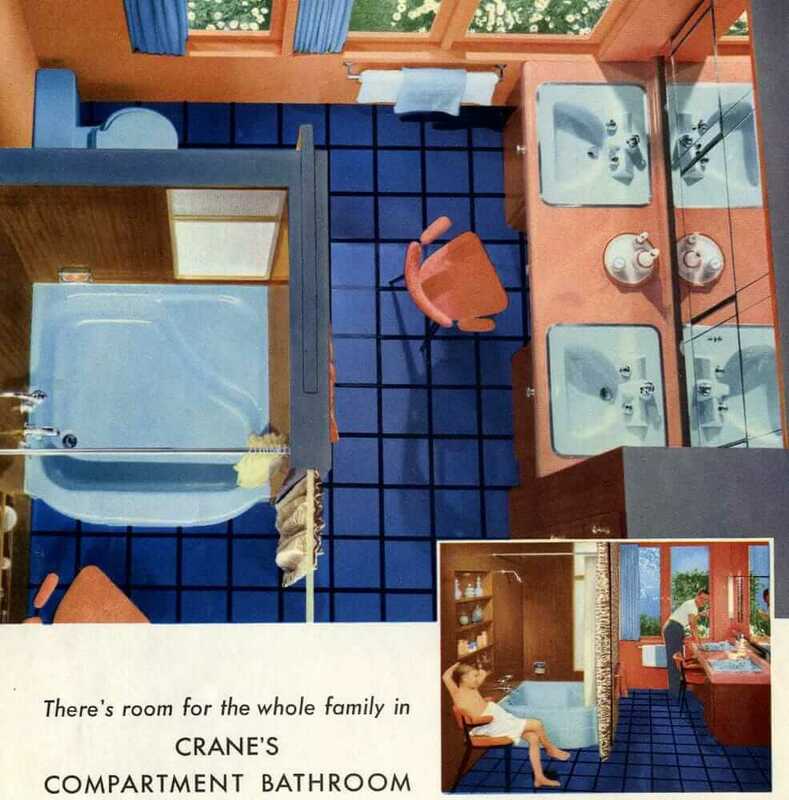 He also mentioned that Kohler makes a lighter pink line of fixtures in Innocent Blush — though I suspect it is a much lighter pink than what was originally popular in the 50s and 60s. Bottom line — if you are in the market for a new pink toilet for your bathroom remodel or restoration — the Gerber Bahama Pink may be a match. I’ll continue to try to find a sample to verify this, so stay tuned. We are also working with our contact at Kohler to get glamour shots of their pink fixtures in Innocent Blush. Looking for Citron color toilet set to buy immediately. Rajah, we don’t sell anything. You need to contact the company profiled. Note: See our other toilet research in our Bathroom Help / Toilets subcategory. 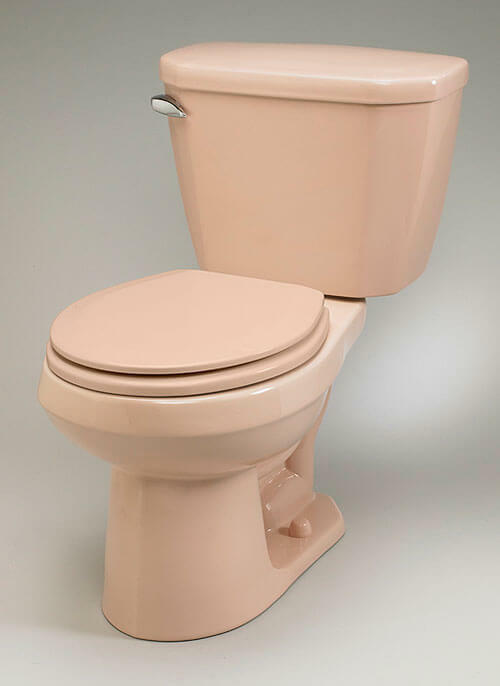 I wish to receive some information on replacing a Rose Pink elongated toilet, including the seat and lid. Can there be anyway I could possibly get a sample of the pottery. My problem is my bathroom is done in marble (the real marble) from my ceiling to my floor. Anything white sticks out like a sore thumb. I can mail you a piece of the marble for a possible match. Please contact me as soon as possible. at the following: Your prompt attention will be appreciated. Gerber no longer makes the Bahama pink toilet. I was so excited to find this page, and I contacted them right away. They responded this morning (5/26/18) that they no longer make the Viper in bahama pink. So disappointing!